Vivian Loseth is the Executive Director of Youth Guidance, one of Chicago’s oldest and most established nonprofit social service agencies. Its mission is to create and implement school-based programs that enable at-risk children to overcome obstacles, focus on their education, and, ultimately, to succeed in school and in life. Ms. Loseth consults with private agencies and the Chicago Public Schools. She is also a regular presenter on the topics of family systems, child centered schools, and full service educational programs at national conferences and forums. In 1990, Ms. Loseth helped found the Chicago Comer School Development Program and for the past twelve years has participated in the annual training at the Yale Child Study Center at Yale University. “I heard Dr. James Comer speak more than 25 years ago, and thought that this is what the children of Chicago needed,” she recalls. Ms. Loseth received a post-graduate certificate from the Family Institute at Northwestern University. She has also received many honors over her long career, including the Golden Apple Award for Supporting Family Involvement in Education. 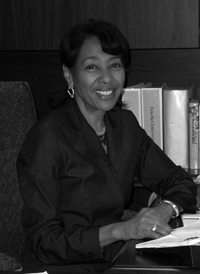 She has been honored at the Congressional Black Caucus and was named Social Worker of the Year in 2007 by the Chicago District of the National Association of Social Workers – Illinois Chapter.